The Aquarium and our partners campaigned across the state for Prop 67. November brought a big ballot win for ocean health. Thanks to voters, California now has the nation’s first law banning single-use plastic carryout bags statewide. Working with our partners, the Aquarium campaigned in support of Proposition 67, the California ballot measure to uphold the statewide bag ban. We also urged a NO vote on the deceptive Proposition 65, which could have further delayed the ban’s implementation. Voters agreed, approving Proposition 67 and rejecting Proposition 65. And just like that, single-use plastic carryout bags are now a thing of California’s past. The new law could prevent billions of plastic bags from polluting our ocean each year—which means a cleaner future for marine wildlife and coastal communities. Today is Ocean Day, when Monterey Bay Aquarium joins other ocean advocates in Sacramento for a day-long celebration of ocean and coastal health. For the seventh year, the Aquarium is hosting a reception for nearly 200 state legislators, government officials, business executives and ocean advocates—people dedicated to conserving the health and vitality of our state’s ocean and coast. They’ll enjoy sustainable California seafood rated “Best Choice” by our Seafood Watch program and fine wines from California’s coastal communities. We’ll also present awards to some of California’s strongest ocean champions, honoring the actions they took in 2015 to advance ocean and coastal health. We have so much to celebrate here in California, thanks to forward-thinking decisions and policies that have made our state a global model for ocean conservation and thriving coastal communities. Now more than ever, we need to build on our progress and continue to lead by example. This means ensuring we have strong, conservation-minded leaders for agencies like the California Coastal Commission and the Fish and Game Commission. From Nov. 30-Dec. 11, leaders from more than 190 nations are gathering in Paris for the 2015 United Nations Conference on Climate Change, or COP21. The conference aims to achieve a binding international agreement to slow the pace of climate change. If we as a global community take bold and meaningful action in Paris, we can change course and leave our heirs a better world. Monterey Bay Aquarium is working to raise public awareness about the many ways our carbon emissions affect ocean health, including ocean acidification, warming sea waters and other impacts on marine life. Today, we shine a spotlight on one of the ocean’s most powerful tools to weather the impacts of climate change. The climate talks in Paris aren’t just about trying to prevent future catastrophe. They’re also about preparing for, and mitigating, the changes already underway. The goal at COP21 is to reach an international accord that will substantially cut the world’s carbon emissions, limiting global average temperatures to a 2-degree Celsius rise. But even if we achieve this best-case scenario, climate change will still have serious impacts on the ocean, including higher sea levels, warmer waters, shifting species distributions and ocean acidification. The California State Capitol is 75 miles from the coast, but the laws forged there can have big impacts on the health of the ocean. That’s why the Monterey Bay Aquarium supported a half-dozen ocean-related bills during the 2015 legislative session. Many were signed into law. We’re active on behalf of ocean issues in California. Photo © Steven Pavlov. 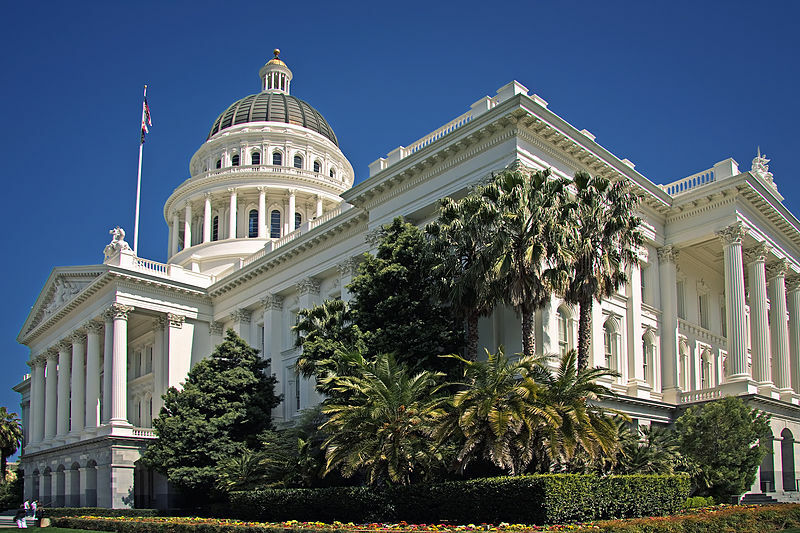 The Aquarium also hosts the annual Ocean Day California reception in Sacramento, bringing together California legislators, state administrators, businesspeople and ocean conservation leaders to celebrate conservation of the ocean. Each year we honor California ocean champions who took action to advance marine and coastal health – including backers of important legislation. Here’s our final scorecard for the 2015 legislative session. Thousands of feet below the ocean’s surface lies a hidden world of undiscovered species, ancient animals and unique seabed habitats—as well as a vast untapped store of natural resources including valuable metals and rare-earth minerals. There’s growing demand globally to tap these minerals, which are key components in everything from cars to computers, skyscrapers and smartphones. And there are proposals around the world to begin mining the seafloor: in the Indian Ocean, off Papua New Guinea, and in the Red Sea. This Relicanthus sp. — a new species from a new order of Cnidaria — lives on sponge stalks attached to mineral nodules more than 12,000 feet below the surface. Credit: Craig Smith and Diva Amon, ABYSSLINE Project. 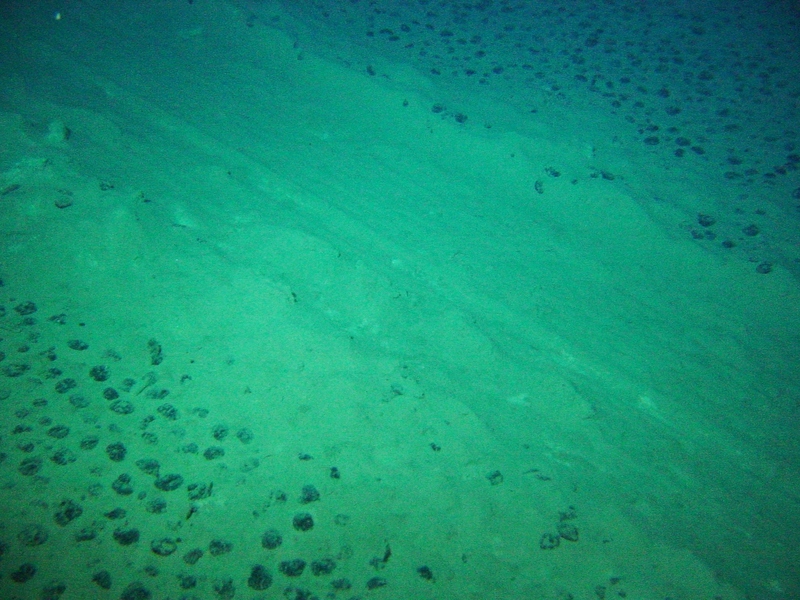 Deep sea mining will have impacts on ecosystems that are lightly mapped and poorly understood. 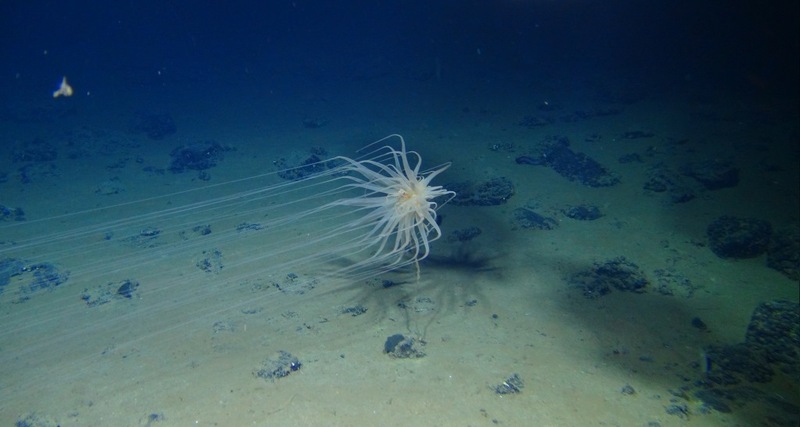 So, researchers from the Center for Ocean Solutions in Monterey and co-authors from leading institutions around the world propose a strategy for balancing commercial extraction of deep-sea resources with protection of diverse seabed habitats. 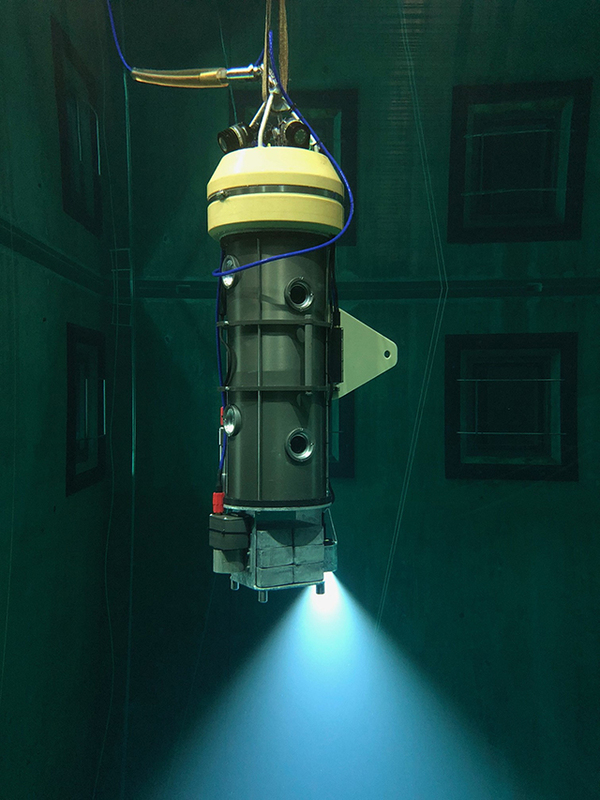 Their approach, published this week in the journal Science, is intended to inform upcoming discussions by the International Seabed Authority (ISA) that will lay the groundwork for future deep-sea environmental protection and mining regulations. The Center for Ocean Solutions is a collaboration among Stanford University, Monterey Bay Aquarium and the Monterey Bay Aquarium Research Institute (MBARI). It works to solve the major problems facing the ocean and prepares leaders to take on these challenges. Take an in-depth look at the research and the issues. Two weeks after a pipeline spilled more than 20,000 gallons of crude oil into the ocean near Santa Barbara, oiled wildlife continues to show up on southern California beaches. Now, the Aquarium has dispatched a team of specialists to help care for rescued seabirds, in collaboration with California’s Office of Spill Prevention and Response. Other zoo and aquarium colleagues in California have also responded. Nearly 200 seabirds and marine mammals have been affected thus far, and about half have survived, according to state wildlife officials. It’s not the first time the Aquarium has stepped up to care for oiled marine animals in the wake of oil spills. In 1989, we helped rescue and care for sea otters in Alaska after the Exxon Valdez tanker disaster in Prince William Sound. More than 25 years later, that spill continues to affect the health of the marine environment. 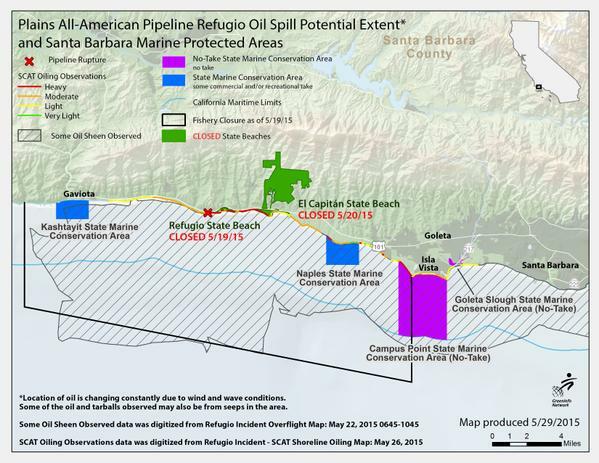 While the recent Refugio spill in the Santa Barbara Channel is – fortunately – a relatively small one, it nonetheless carries environmental costs. Oil has been observed in four marine protected areas that are vital feeding and breeding grounds for fish, marine mammals and birds. Two state beaches remain closed until further notice. Commercial fishermen are shut out of 138 square miles of prime waters. For the short term, the Aquarium will be working in Santa Barbara to help oiled seabirds recover from the spill. Over the long haul, we’ll be active in Sacramento in support of policies to protect California’s vibrant ocean ecosystems from oil spills and other threats.